Jimmy Mullen went within a few months of it, Kenny Hibbitt might have managed it had it not been for injury and, nationally, Gary Speed and David James are now well placed to achieve it. Agonisingly, Alistair Robertson went within a single appearance of the same accomplishment in 1990 - that of playing League football in four different decades. Alan Dodd has declared his marathon-running career well and truly over - although he still jogs to keep himself in decent trim. The cultured defender, who played 99 Wolves games in between two stints at Stoke that brought him a staggering 416 senior appearances, has earned himself quite a reputation in North Staffordshire for going the distance in his post-football years as well. 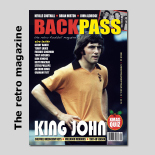 A lengthy appreciation of the career of prolific Wolves forward Jimmy Murray is one of the major articles in the latest issue of the thriving football nostalgia magazine, Backpass. The 18-paragraph tribute by Ivan Ponting carries the suggestion that the man who scored 166 goals in 299 League and Cup appearances for the club would have won England caps had it not been for the 'ludicrously archaic' selection committee still in place at the time. John Richards has been told again that he was good enough to win a League Championship medal - but only if he had left Molineux. The record-breaking striker already knew that Bill McGarry turned down a bid for him from the then Derby manager Brian Clough in the early 1970s, the Rams lifting the title in 1972 and 1975. Neville Hamilton, whose Wolves career more than 20 years ago was ended by a heart attack he suffered in training, has died at the age of 48. The midfielder didn't play a single competitive game for the club but was a highly popular figure because of his infectious personality and ready smile. Paul Cook has been reinstated as manager of Sligo Rovers, two and half weeks after departing over cutbacks to his budget. The former Molineux midfielder told www.wolvesheroes.com at the time that he hoped a resolution could still be found to suit all parties. What worth is there now to the stroke of fortune Paul Birch enjoyed on the evening of his testimonial game in 1991? The good luck he had in timing his big night to coincide with the first hero's return of David Platt to Aston Villa from a new life in Italy turned a healthy crowd in the Second City into a bumper one. A multitude of ex-Wolves players, along with staff past and present, attended today's funeral of the former Molineux and Aston Villa midfielder Paul Birch. The equivalent of a full squad's worth, many of them one-time Wolves team-mates, were present at West Bromwich Crematorium to pay their respects to the man who died a week and a half ago, aged only 46. Hugh Curran has revealed how Bill McGarry once tried to bounce him into a move to Ian Greaves' Huddersfield - and cost him a big anniversary night out with his wife. The Scottish international striker was alerted to the possible deal during Wolves' historic run to the 1972 UEFA Cup final, only for it to break down and send the Molineux boss into one of his characteristic strops. 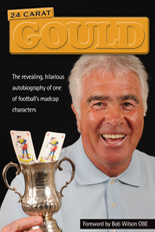 A new book is to celebrate Wolves' winning of the FA Cup, 50 years on. Freelance journalist Mark Metcalf is currently researching and writing the story of the 1959-60 competition, which came to a conclusion with a 3-0 Wembley victory by Stan Cullis's side against Blackburn.